I tried jump starting it, but it did not work. The only light that shows up on my dashboard is the oil light. I tried jump starting it, but nothing. Also, when I pull the key back to start I get a beeping noise. Do the head lights work and are they full brightness? Yes, they work and at full brightness the battery is okay. What are the symptoms when you try to crank the engine? Do you hear a single rather loud clunk each time you turn the ignition switch to "crank"? If so, there is an easy fix for that. If you do not hear that clunk, can you hear if the starter relay is clicking in the under-hood fuse box? That one can be a little tricky because there are other relays that will also be clicking. What happens to the brightness of the headlights or dome light when you try to crank the engine? Do they stay bright, go out completely, or get dim? When I turn the ignition switch to crank the engine nothing happens it stays quite and I do not hear any sound coming from anywhere. I tried changing the fuses for the ignition switch, but it is still the same. I put the lights on and cranked the engine but the lights were unaffected. The starter circuit can be split into three smaller circuits for troubleshooting. There are a couple of different ways of going about this depending on whether you have a voltmeter or test light and know how to use them. As an alternative, to narrow it down, you can remove the starter relay to bypass it with a jumper wire, or you can pop the cover off, reinstall it that way, hen squeeze the contact to see if the engine will crank. If it does, we will know two of the three circuits are working and the battery is good. It is sounding more like you have a bad starter motor more and more. See where you are losing power. You will need to jack the car up safely as well. I tried doing what you told me and you were right the starter motor has bad. I found a good rebuild on Amazon for $66.00. You can check the fuses check the smaller red battery cable where it bolts to the under-hood fuse box. Be sure it is clean and tight. That is a common place to find a problem. Next, follow the smaller black negative battery cable to where it bolts to the body sheet metal and be sure that one is clean and tight. If you do not identify a bad connection, you will need a test light. A digital voltmeter will work too, but in this type of circuit the test light can be more accurate. Turn on the headlights so some current is leaving the battery. That will help make a bad connection show up. Now start with the test light's clip lead right on the negative battery terminal. If they still have the battery behind the left front tire like they did in the 1990's, just use the jump-start terminal under the hood. Place the test light's probe on the positive battery terminal, or the jump-start terminal by the left strut tower. The light should be bright. If it is not, work back to the battery to find the broken connection. If the test light is bright, move the clip lead to the engine block or head. Next, move the probe down to the starter and check on the larger bolt-on terminal. The light must still be bright. If you are doing this with a voltmeter, you want to find full battery voltage, (12.6 volts), all the way to the starter. If you find around 12.0 volts, the battery is discharged. 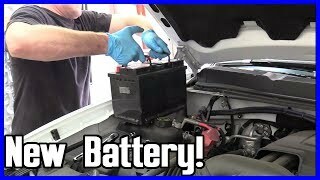 If you find closer to 11 volts or less, the battery has a shorted cell and there's no way to know what will work and what wont until it is replaced. I have a 2003 Dodge Stratus that I could not jump start. I thought it was the starter, but turned out to be the twenty amp fuse that powers the starter. My car will not turnover at all. No sound no nothing. The radio and windshield will not work but all other electrical does. I have checked all fuses and still nothing. I am open to any suggestions. I would make sure the battery has a full charge and the connections are good. Any fuses you check, you need to use a test light, see if the fuse circuit is hot. Do you think the security system might be causing an issue? Are the circuits at the starter relay okay? Any testing at the relay, make sure the transmission is in park or neutral and the e-brake is set. I try to start my car but nothing. All the lights work, but the radio does not work and the car does not start. What is it doing cranking over and will not start or just will not crank at all? I can get the key to crank over. But it does not even try to start. Everything worked great previously. I am just baffled because I would think it is the ignition. But that does not explain why the radio does not work also. Hello, I have the ES model and just recently it will not start, but if I turn the car over it acts as if it wants to start and it just makes a clicking noise. I have had the battery charged and it still clicks. The headlights and the interior lights and the radio comes on but car will not start. 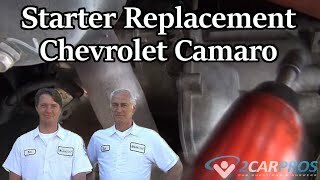 Is it possible the car may need a new starter or a alternator? No, it is not your starter or alternator. Car will not start. Tried jump starting. Only get a click. What should we try? No crank at all/nothing when key is engage to starting position. Could be a blown fusible link, the starter, starter relay, clutch switch/park and neutral switch/transmission position switch and ignition switch assuming the battery condition and connections are good. When I use the remote, the car starts for a few seconds and then stops. I bought a new battery and it still does not stay running. What can cause this? So I Go To Start My Car One Loud Click Then Nothing. I Tried Battery, New Starter And Fuses Look Good. What Am I Missing? Engine Wont Crank Can The Key Transponder Be At Fault?